Last night, screenwriter Robert Towne spoke in between a presentation of his two LA masterpieces, Chinatown and The Two Jakes. Disarmingly honest, funny, and quite wise, he shared his writing philosophy and answered some questions about the movies from the audience. Sure, the questions were fawning, and the answers were not always straightforward, but here are the lessons I gleaned from his talk. 1) Don’t be afraid to write more than necessary. Protagonist J.J. Gittes makes many allusions to Chinatown in the movie, but we never really learn what went down there when he worked for the district attorney’s office. Towne shared the subplot, something to do with a failed truce between rival gangs that he mediated, but even he wasn’t sure. Yet as moderator and film expert F.X. Feeney pointed out, “All of the stuff you write makes it into the movie in some form” and it’s true here. The story is richer for this complexity, even if it doesn’t affect this story. Gittes becomes an even more complex character, one we can’t help but wonder about. 2) It’s a collaboration. Without the sublime score by Jerry Goldsmith, this would not be the same movie. In fact, an earlier score made the film painful to listen to. Without the production design by Richard Sylbert, the sets would have appeared corny instead of classic. And without the influence of director Roman Polanski, the film could not have embraced the screenplay’s complexity and would instead forgo it. And let’s face it, no one could have played Giddes with the same charm and passion as Jack Nicholson. It’s an excellent script, but an even better movie. 3) Let the story take you. Towne alluded to the fact that at a certain point, writing Chinatown became like a dance when the partner, his script, takes over. The characters, story arc, background, all pointed to one way of telling. This metaphor feels apt. My best writing never feels like writing, it feels like taking dictation from a story I know by heart. This may rarely happen, but when the story takes you, let it. He compared his writing process to building inertia. It sure is hard to get started, but when things do start, let it roll. 4) Don’t be afraid of a second draft. I don’t remember the exact number of drafts that Towne and Polanski worked through (Peter Bart writes on this in his new book, Infamous Players) but there were a lot. Yet in the end, all of that work paid off. 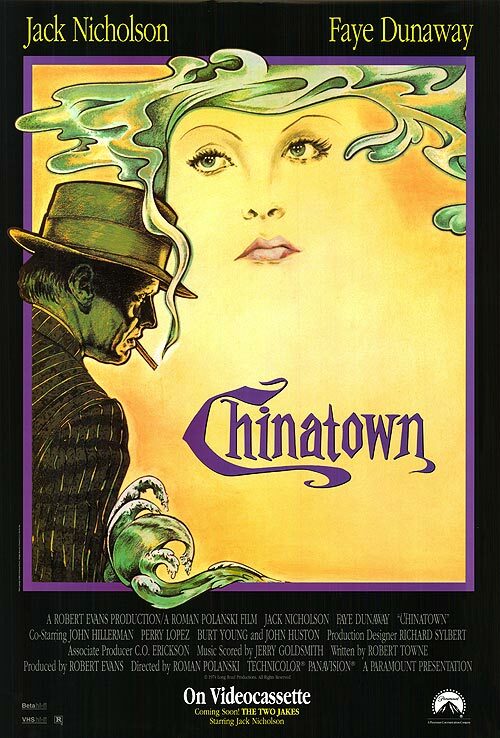 While Towne didn’t talk about it so much last evening, it’s true; Chinatown would not be the same movie if the shooting script were the rough draft. It takes time and patience to write a truly great story. Terri is a smart, strong film from indie up and comer Azazel Jacobs that may pass under most moviegoers’ radar, but deserves a wider audience. A coming-of-age comedy that takes its cues from another time, the story follows Terri (Jacob Wysocki), an overweight, pajama-clad boy who, while shuffling his way through middle school, is taken under the wing of assistant principal Mr. Fitzgerald (John C. Reilly). As Terri builds a relationship with his mentor Fitzgerald, his life seemingly falls apart, as he deals with his mentally ill uncle and guardian (Creed Bratton), and a crush on an equally self-destructive friend (Olivia Crocicchia). A tender, honest look at adolescence, the film resonated more deeply with me than any offering in recent history, seemingly worlds away from ABC Family. Simply put, Terri’s script feels authentic. When Terri tells Mr. Fitzgerald he is in need of help, it’s not a monologue, but a simply whispered “I have trouble coming to school.” We don’t learn that Terri’s parents are deadbeats, instead he tells his friend Chad (Bridger Zadina) that “I don’t know” what happened to them. There is far more being communicated in these small words than a page of text could do. That the story neither resolves itself nor comes to a satisfying conclusion evinces a truth far stronger than any quick ending could have. None of these telling details would mean anything without such a strong cast. Reilly is both hilarious and self-effacing as Mr. Fitzgerald. 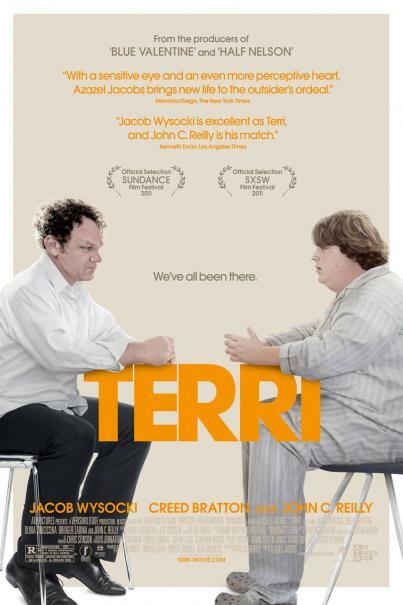 Jacob Wysocki’s taciturn Terri really proves that less is more. Even the supporting actors, eccentricities and all, feel like they belong to this odd world of middle school limbo. That Jacobs was able to control these characters, and create that mood speaks to a great gift. But it’s Jacobs’ quiet empathy that I am most drawn to. He doesn’t make us love his characters, but he doesn’t draw back in ironic distaste either. He steps back and lets the actors let us into their worlds—a far more powerful move than any ham-fisted directing. I can’t wait to see what else he comes up with. I am one of those people who are inconsolably depressed over the death of print journalism. Growing up reading The New York Times and The Washington Post, I thought it was my destiny I would one day write for one of these noble institutions. OK, maybe not write—but I took it for granted I would at least read them. The internet happened in the intervening decade or two and shocked everyone, including, as it turns out, The Times itself. The new documentary Page One: Inside The New York Times (Andrew Rossi) addresses the internet’s aftermath, and how it affected print journalism, The New York Times in particular. Beginning with The Rocky Mountain News’ retirement and ending with The Times’ creation of a pay-wall, the director does well describing the reactions from everyone involved, from the television talking heads, the editors, and the journalists themselves. David Carr, the irascible Times media critic, is our host, and he does a great job defending the newspaper, and attesting to all it has to offer a sustainable, intelligent democracy. His takedown of Newser’s Michael Wolff during a debate was especially fun to watch. After Wolff decries The Times for Judith Miller’s misleading reporting in the run up to the Iraq war, Carr dismisses Newser as a news aggregator. Holding up a cut-up Newser homepage, he shows that by eliminating the mainstream media, one is also sacrificing the site’s content. There are so many great moments like these, but for an hour and a half documentary, there are simply too many narrative threads to compose something coherent. Sure, it is nominally a look inside The New York Times and how it fights obsolescence, but that in of itself is too much. Sometimes we are in the editors’ meetings, other times we are in Minneapolis learning about David Carr’s past lives, and by the end we are learning more about the Tribune Company’s bankruptcy than we are about the future of The Times. The problem is not the documentarian, but the subject itself. A newsroom that big, and encompassing so much history, could never be distilled in one doc. And, honestly, the death of journalism is a topic too difficult to compress into mere sound-bytes. Ultimately, it is the responsibility of the filmmakers to pick a subject, and the responsibility of a clever editor to make sure the final cut reflects that focus. 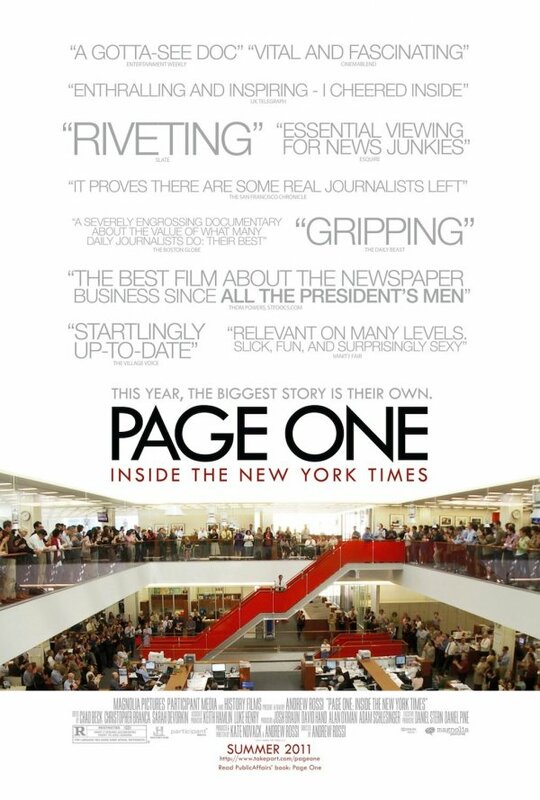 Page One is a great movie, about a great subject, one I care to hear more of, yet there are times when great isn’t good when covering a story. It’s a little offbeat to eat at a cafeteria these days, especially one where you get the senior discount. I thought this very thing last Wednesday night while I meditated in front of a plate of overcooked salmon and a “tomato platter” at Clifton’s in downtown LA. Now, to be fair, the senior discount was not because I had reached a certain age, but because tonight, I was going to see King Kong (1933) at the historic Los Angeles Theatre, a movie showing as part of the Last Remaining Seats series, and Clifton’s offers a promotion. There’s a tendency in Hollywood to forget. Stars only last so long, careers evaporate overnight, and the next hot thing (Miley Cyrus) seems to fade all too quickly into last week’s salvia smoking scandal. As a member of twitter and facebook, sure, I ascribe to that ethos, but I’m also a bit of a rebel. Hollywood, and Los Angeles, the actual city, sometimes feels like a historic theme park to me. I only need to look down on Hollywood Boulevard and see Myrna Loy’s name or venture to Hollywood Forever to visit with Valentino to know that this place bleeds history. For me, it’s the old downtown movie palaces of the teens and twenties—before Hollywood became the West’s film center—that are my true historical interest. Last year, I saw Peter Pan (1924) at the beautifully refurbished Orpheum, and even wrote a piece for LAist.com on the program, Last Remaining Seats, that makes it all possible. 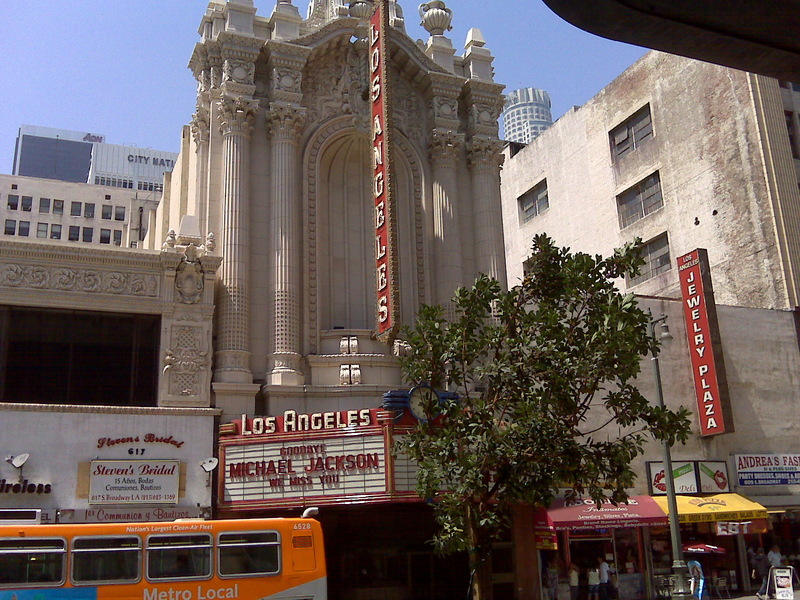 For twenty-five years now, the Los Angeles Conservancy has opened these theatres to silents, short subjects, and two reel Technicolors, so for just one night we can experience what it may have felt like in the twenties and thirties to belong to one of these glitzy movie palaces. But there is something far more exciting about LRS than the mere experiencing of film history. For me, it’s a way to connect with my history. I think especially of my grandma Ann, who recently passed. While a true Detroiter, she visited Los Angeles during the Depression, even going so far as to write she would be attending UCLA in her Detroit Central High yearbook. Family responsibilities tugged, and except for a few trips, she never made it out here. But I remember how much she loved the movies, especially the classics. I don’t remember her television being tuned to anything but TCM. To watch King Kong in a movie theatre that may have been open when she was here reminds me of her and forges a deeper connection with her memory. But those connections do not end there. Turns out my girlfriend’s grandmother even worked at Clifton’s as a cook. It’s exciting to learn these things, and to dive deep into a fascinating Los Angeles history, one that constantly yields pearls. Submarine is a charming film from British TV star and director Richard Ayoade (Moss from the IT Crowd) that you should see. This is his first feature—but you wouldn’t know it. The script, the direction, even the sets look like the work of a mature director. Yet it is to Ayoade’s credit that he makes an old genre, coming of age, something far more new and exciting; could it be that same inexperience working in his favor? 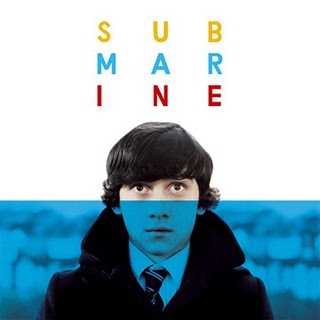 Submarine tells the story of a fifteen-year old boy, Oliver (Craig Roberts), with two goals: lose his virginity and keep his parents together. If his mother’s old beau (played by a wacky Paddy Considine) hadn’t moved in next door, this second checkmark may have been easier. As it is, he has better luck with his schoolmate Jordana (Yasmin Paige), who, as he reasons at the movie’s start, may be unpopular, but is also less of a stretch as a girlfriend than anyone in the in crowd. These two stories, told through Oliver’s imaginative voiceover, work together well, overlapping in a satisfactory saga of teenage angst. He’s honest, and he says what is on his mind, making his struggle much more accessible. Ayoade’s use of flashbacks, imaginative sequences, and montage works here because it feels like something a teenager would think; the stories in Oliver’s mind are the sort of filmic fantasies that a boy who frequents the local indie theatre would come up with. Not to mention that these sequences are edited well, seemingly allowing the audience into Oliver’s psyche without revealing all there is. Only when the movie veered into the twee or the overly nostalgic did it lose my interest. Ayoade spends time quoting some of his favorite directors, especially Truffaut, which can feel derivative. Why so many shots of Oliver running on the beach if not to reference The 400 Blows? Of course, it is Ayoade’s obsessions with these details that also draw me in. There is an odd fascination with Swansea, beige color schemes, marine biology, prisms, the beach, fireworks, and arson, which suggests that, well, let’s face it, Oliver is Ayoade and vice versa. But it’s Alex Turner’s music that will stick with me. Turner, of the Arctic Monkeys, one of the biggest buzz bands of the last decade, provides some introspective, softly nostalgic tunes that encapsulate this movie for me. Sure, the Arctic Monkeys never became as big as the Beatles, or even Oasis, and Oliver may have never won the respect of his classmates or the world, but listening to these simple rock songs, it becomes clear that those things don’t really matter. There is something far more interesting lurking between the lyrics (and the dialogue breaks). In other words, Ayoade may not be the next Truffaut, or even Wes Anderson, but he could be something far more, for God help us, he is an auteur. 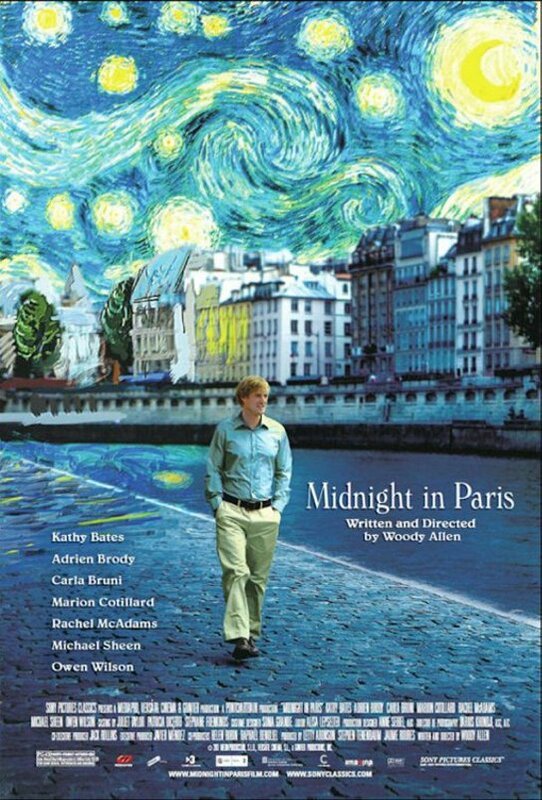 Woody Allen’s latest feature, Midnight in Paris, is a deft, if not brilliant return to form inspired by the City of Lights. He captures the excitement, energy and romance of a make-believe 1920s Paris, duly compensating for the movie’s lack of depth. Gil (Owen Wilson) is a down-and-out screenwriter (a self-described “hand for hire”) sick of Hollywood on vacation with his fiancé Inez (Rachel McAdams) in Paris. Unhappy with his career, his impending marriage, and his present choice of decade, Gil morosely walks the streets of Paris, dreaming of his novel. When he stumbles upon a magical time-machine that transports him to interwar Paris, his life changes for the better—especially after he meets the lovely flapper Adriana (Marion Cotillard). Gil must ultimately choose between a good life back in the present or a bohemian one lived dangerously in the past. It’s this decision that drives the movie. But Gil’s dilemma is not a hard one, and the ending leaves us with no surprises. This movie may not lend itself to deep analysis, but that is not why I recommend this film. It’s the delicious visuals, the surprisingly good caricatures of Moveable Feast regulars, the whole gestalt of 1920s Paris that Allen does so well. Go for Adrien Brody’s Dali impression, or better yet Kathy Bates’ Gertrude Stein. Go because you love Paris and can’t afford a plane ticket. It lacks the seriousness of You Will Meet a Tall Dark Stranger or the shtick of Whatever Works, but is nevertheless a treat, an Allen film shot through with optimism, a nostalgia trip that actually makes you feel good about living in the present. 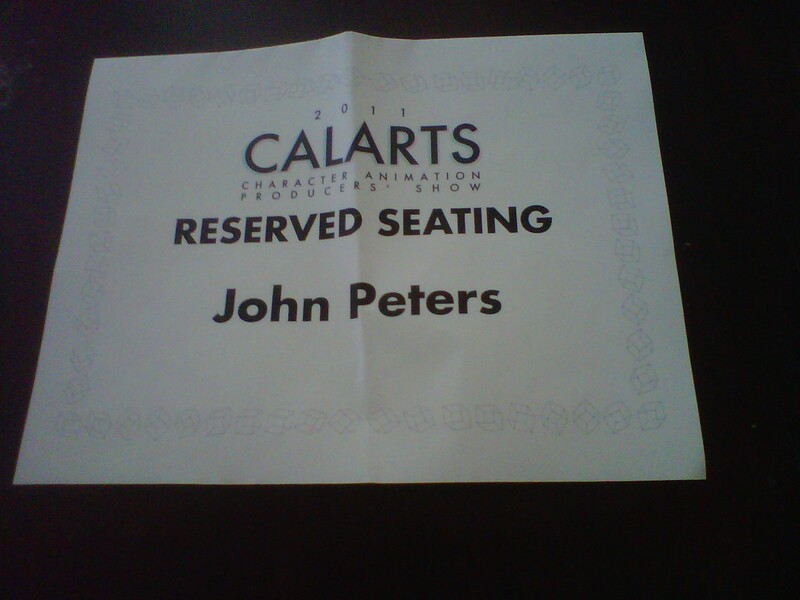 So the other week I had the chance to attend the CalArts Character Animation Producers’ Show. I was a member of the press, so I even got a reserved seat—which totally made me feel like a VIP. But the show was not about me, it was about the very talented animators who put their all into some amazing short films. Here is my LAist.com article; I mention some of the highlights from the show and a couple of the sketches I really liked. I wanted to use the blog to post some of the videos I really enjoyed from the program that I did not include in the article. So, here are four highlights from the show that are also pretty fun watching! Brave was one of the few dramatic offerings of the evening and for that I applaud the director Jasmin Lai. It’s easy enough to make a two minute funny sketch, but to do something dramatic (and well) takes a certain creativity, resourcefulness, and, yes, courage. As I wrote in the article, Lai also has a very strong symbolic sense here—the red is indicative of danger, the spiders metaphors for the pain the child feels for her father. The block print aesthetic also works here and gives the short its own unique edge. Hannah Ayoubi’s Vampire Gastelbrau feels like it belongs on Cartoon Network as its own show. It’s funny, cute, and best of all, unexpected. It’s rare that a two and a half minute video feels so self-contained, perfect, and well done that another thirty seconds would have ruined it! Alex Wand’s wonderful silent movie organ score doesn’t hurt either. The Funny Thing about Lois is one of those quirky stories that could only end up as a film. Lois is a loris, a sloth-like animal with a toxic touch, who is just starting school and struggling to make friends. The story may be comic, but the telling of it betrays a beating heart strong enough to hear no matter how short the film’s length. Finally, you have to love the gothic storytelling of this Little Mermaid turned on its head—Bottom Feeder Blues. Just watch. According to the Vimeo page, Colin Howard is a first year BFA at CalArts, and I can’t wait to see what he comes up with next year!